The following is the text found on the Special Recognition Award presented to Maurice (Maury) Roos, P.E. at the 2007 California Extreme Precipitation Symposium held at the California State University, Sacramento on April 13, 2007. This award is in recognition of your lifetime of service, starting in 1957, as an expert in extreme precipitation and flood hydrology. During your tenure as California's Chief Hydrologist you played a vital role in protecting the public during the major flood events of 1986 and 1997. Your expert knowledge of California hydrology, flood forecasting, reservoir operations, and flood channel hydraulics has led to improvements in flood operations and emergency response. You are an internationally recognized expert in water resources who has also made significant contributions in our understanding of the potential effects of climate change on Sierra Nevada snowmelt runoff. Since your retirement in 2000, you have continued to share your knowledge and expertise with the California Department of Water Resources, California Energy Commission, American Society of Civil Engineers, and U. S. Committee on Irrigation and Drainage. You have always exemplified the highest standards in serving the community and mentoring the next generation of scientists and engineers. Your colleagues are honored to present to you this acknowledgement of our appreciation, gratitude, and respect. As of September 2008, Mr. Roos is Chief Hydrologist (part time) with the California Department of Water Resources in Sacramento, California, in its Division of Flood Management, where he works as a retired annuitant. Mr. Roos had 43 years of experience as a water engineer with the Department when he retired from full time service in July 2000. He continues to work part time as a retired annuitant. Prior to retirement, he oversaw work on flood forecasting, hydrology, water supply and snowmelt forecasting, staff meteorology, and related subjects. As Chief Hydrologist, he also provided (and continues to provide) advice on floods, drought, global warming, and weather modification and has participated in elements of the Comprehensive Flood Study in the Central Valley several years ago. He has kept abreast of a number of other California water and flood studies, including the Department's Bulletin 160 statewide planning reports, especially as these relate to hydrology, water supplies and water demands. Mr. Roos graduated with a B.S. degree in Civil Engineering from San Jose State University in 1957 and has been employed by the Department of Water Resources since then. His career began with studies on channels, levees, proposed water transfer works, and water quality in the Sacramento-San Joaquin River Delta of California. From 1965 through 1978 he served in the Department's Division of Planning in various water planning studies, reservoir system operation studies, and helping evaluate water requirements and supplies and potential water system developments. He was one of the authors of several editions of Bulletin 160, the Department's main water planning document. He was also involved in water rights hearings for the State Water Project. In 1979, Mr. Roos began essentially his current assignment in the Division of Flood Management, primarily on flood and water supply forecasting for the major rivers of northern and central California. The work included providing staff expertise in hydrology and specialized hydrologic studies for other Department units, especially on flood related matters. Establishing and maintaining cooperative relationships with other agencies was an important component of the job. River forecasts and flood warnings were produced in cooperation with the federal National Weather Service. The snow measurement and runoff program was a cooperative effort with over 30 local water agencies and power utilities, overseeing the gathering of snow, precipitation, runoff and storage data and the production of the official State forecasts of runoff on major snow-fed rivers. This period of time included the deployment of a modern remote telemetry data acquisition system to aid in forecasting. During the past 15 years, Mr. Roos has had opportunity during short term trips to share expertise in Israel, northern India, Nigeria, and China. He also worked with the California Energy Commission several years ago developing suggestions for global warming related research in water resources. 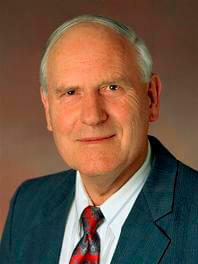 Mr. Roos has a professional engineering license from the State of California, initially obtained in 1961. He served 6 years ending in 2005 as a member of the Board of Directors of the U. S. Committee on Irrigation and Drainage and participated in International Commission on Irrigation and Drainage congresses in Spain in 1999, in Canada in 2002 and in China in 2005. He had previously been to China in 1998 with a delegation of the American Society of Civil Engineers, looking at the Three Gorges Dam Project.